RootoWorld Sports is a fantasy analytics show that covers fantasy football for the NFL. 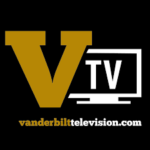 The show also covers college football and other sports going on in the fall with an emphasis on Vandy. Lastly, RootoWorld Sports sometimes slips into a discussion on modern music, art, and film.